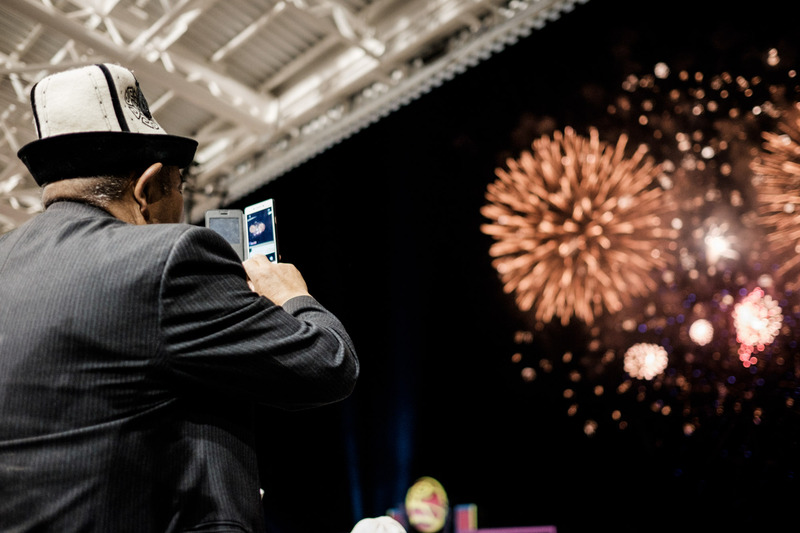 09-03/2016 - A man takes a picture of the fireworks after the opening ceremony of the World Nomad Games, in Cholpon Ata. 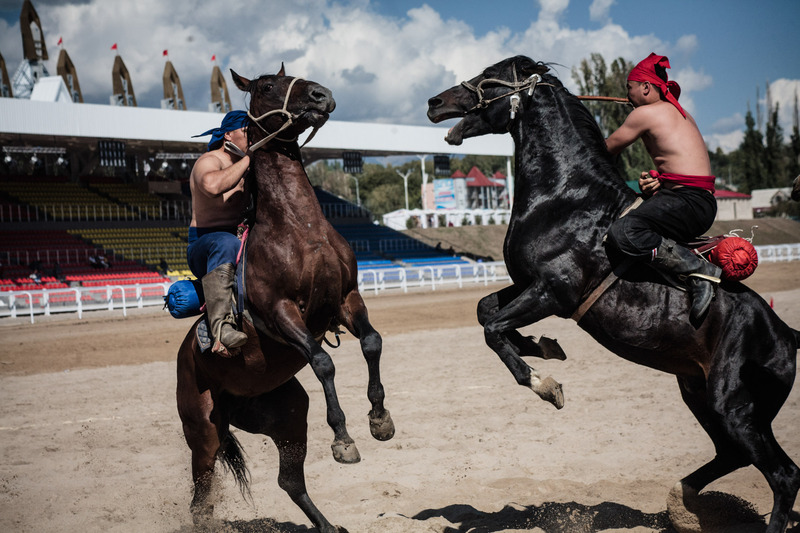 09-07/2016 - Two Er Enish horsemen, a traditionnal wresling sport. 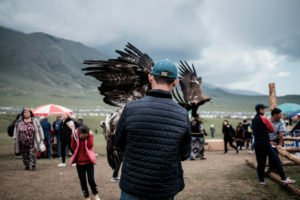 09-06/2016 - A young eagle trainer, in the valley of Kyrchyn. 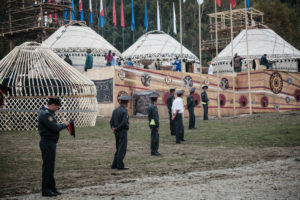 09-04/2016 - The stage where traditionnal music formation perform, in the valley of Kyrchyn. 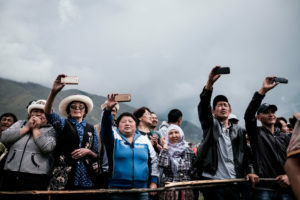 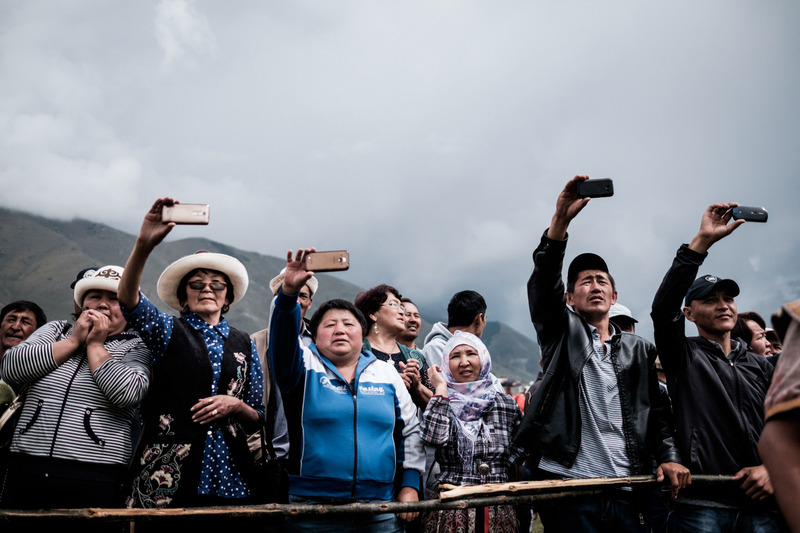 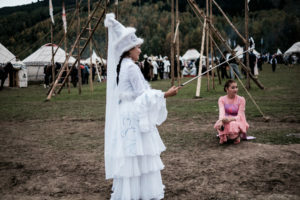 09-06/2016 - The public attends to shows and sport events in the valley of Kyrchyn. 09-04/2016 - Horsemen train for shows. 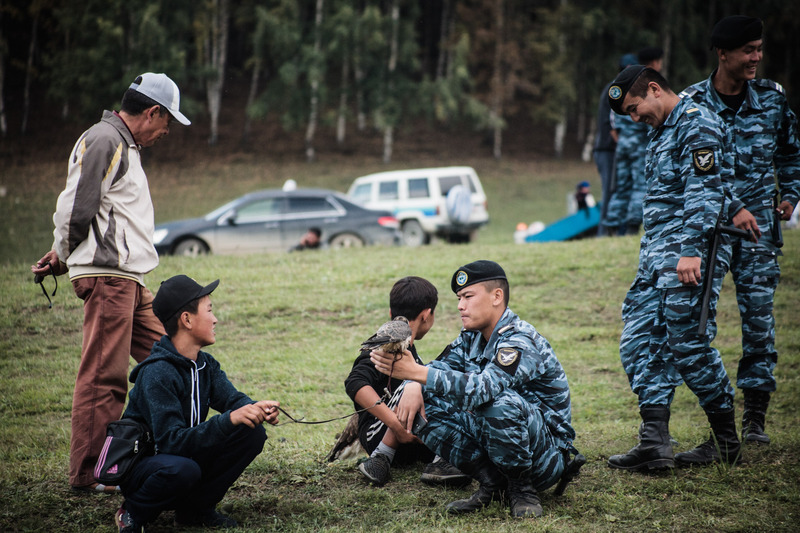 09-06/2016 - Military men look at the falcon of a young trainer. 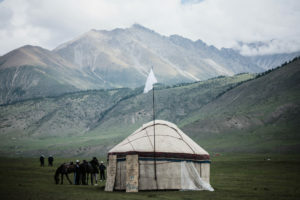 09-06/2016 - A horsemen looks at a yurt camp. 09-06/2016 - A nomad takes a selfie in the valley of Kyrchyn. 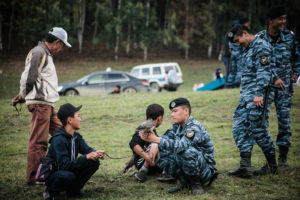 09-06/2016 - Race dogs owners, before the start of races. 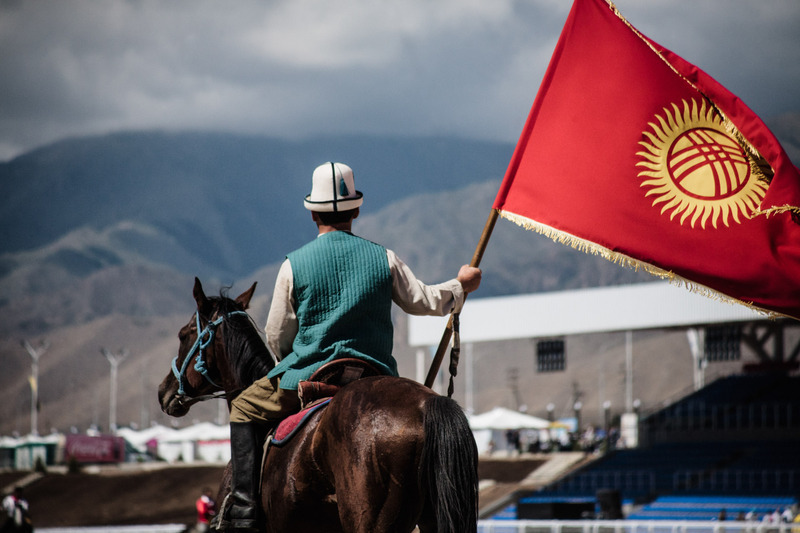 It’s the last day of the Games and, carried by its enthusiastic supporters, the Kyrgyz Kok Boru team is beating the Kazakh team. 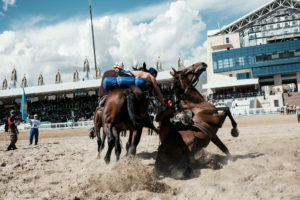 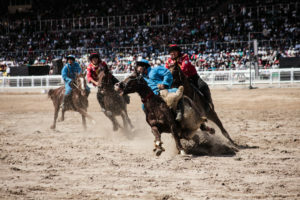 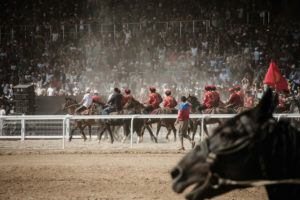 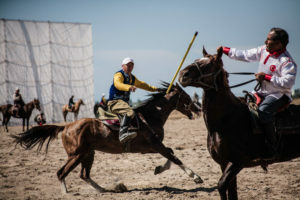 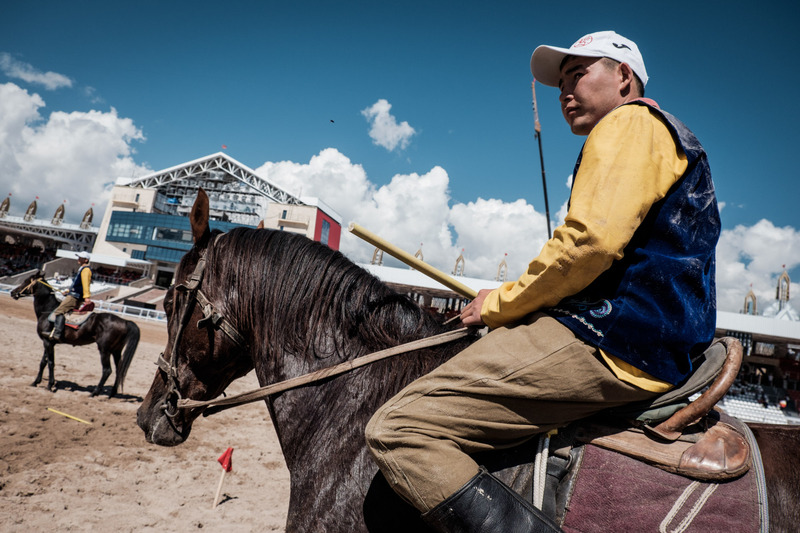 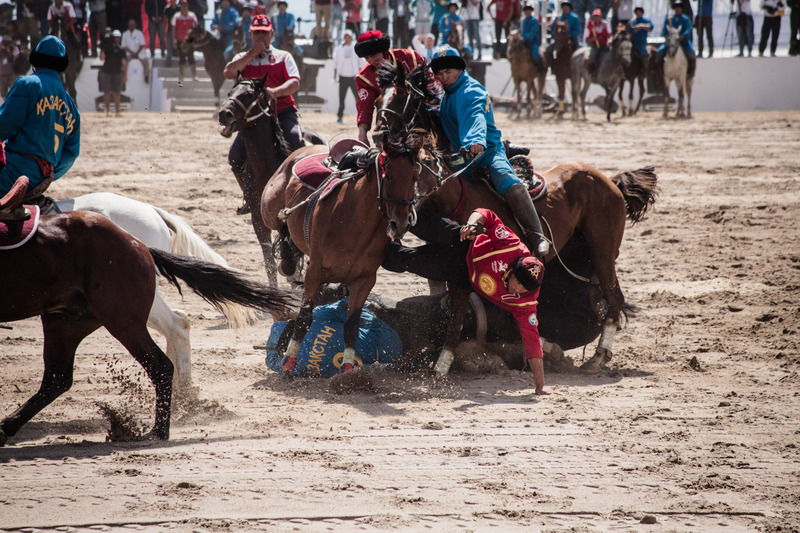 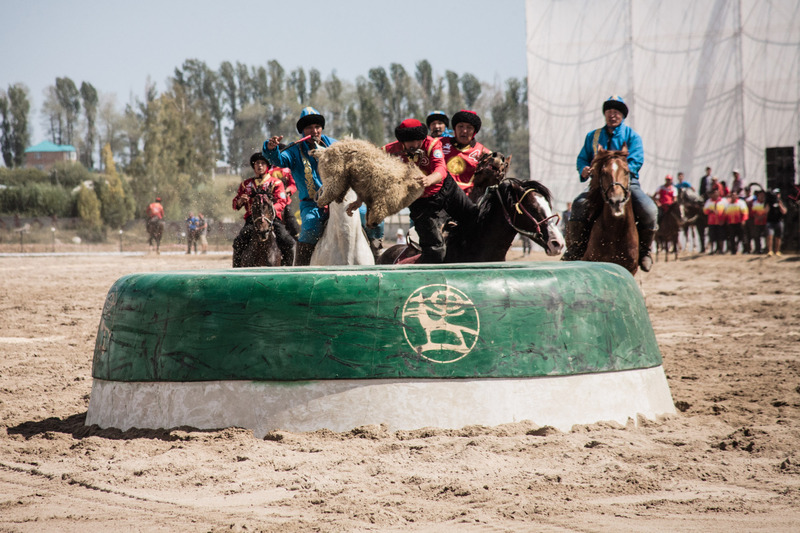 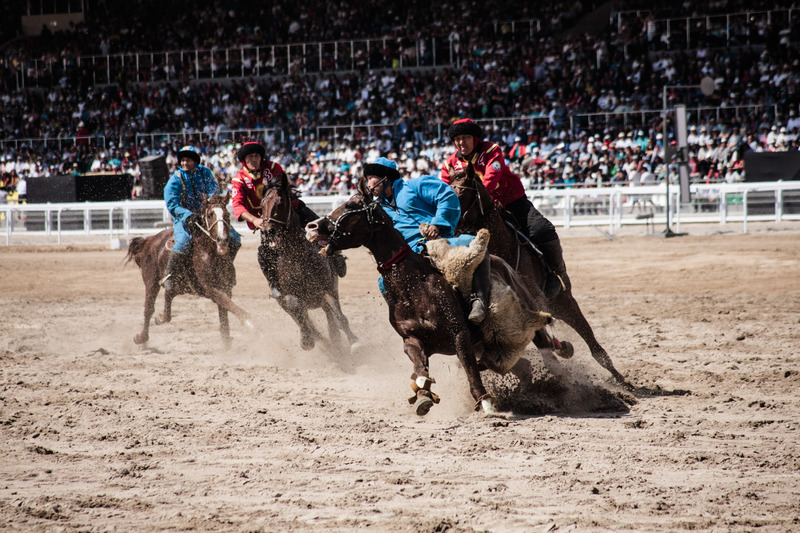 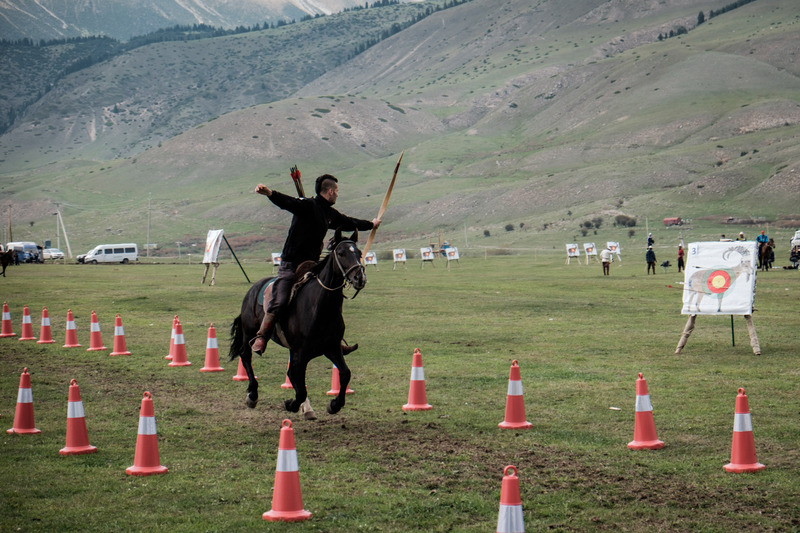 This game of the Central Asian kind of polo, where players fight for a goat carcass, is the crown of the Nomad Games, the most spectacular of the twenty three competitions held in six days. 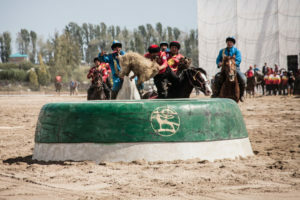 Invented in 2014 by Kyrgyz president Almazbek Atambayev, the World Nomad Games were not only meant to be the olympics of nomad traditional sports, they were also designed to celebrate a national identity for the Kyrgyz, around the inheritance of the nomadic lifestyle, and thus reinforce a cultural presence in the region’s former soviet republics, 25 years after the fall of USSR and their independence. 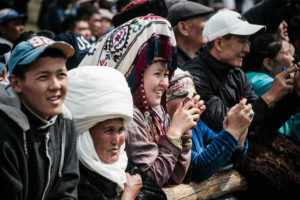 Forcibly settled to work in kolkhozes during the soviet era, real nomads don’t represent an important part of the population nowadays, but the Kyrgyz people are still very attached to their traditions. 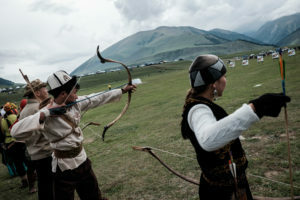 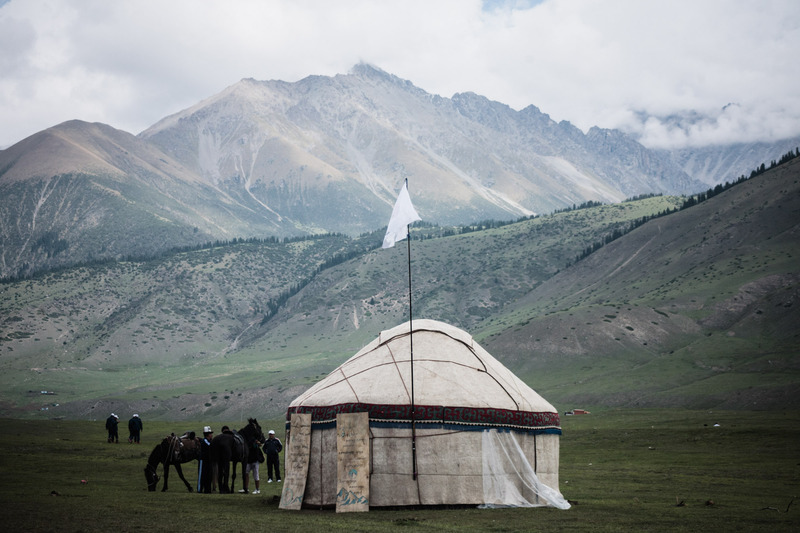 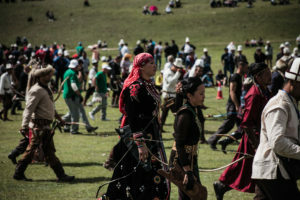 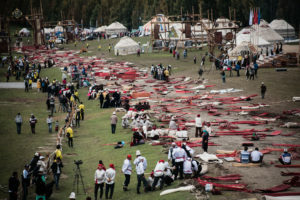 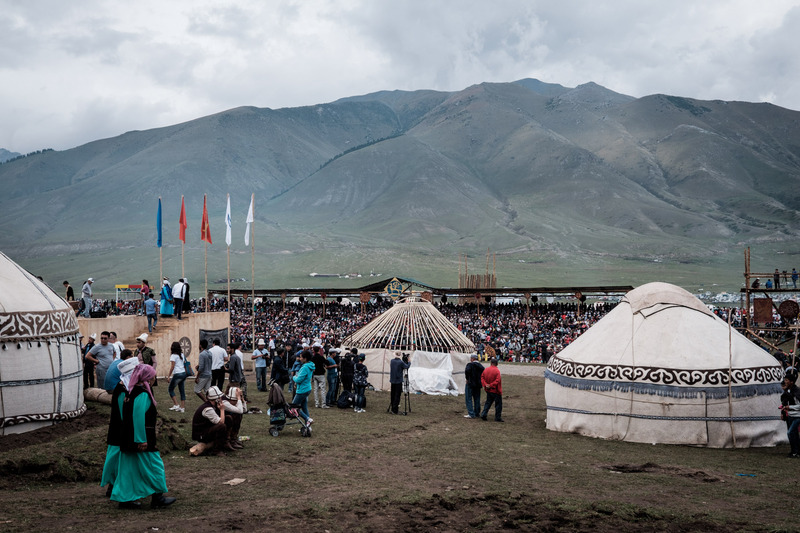 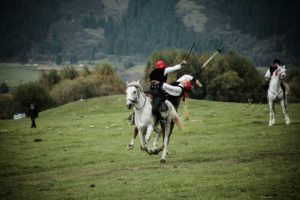 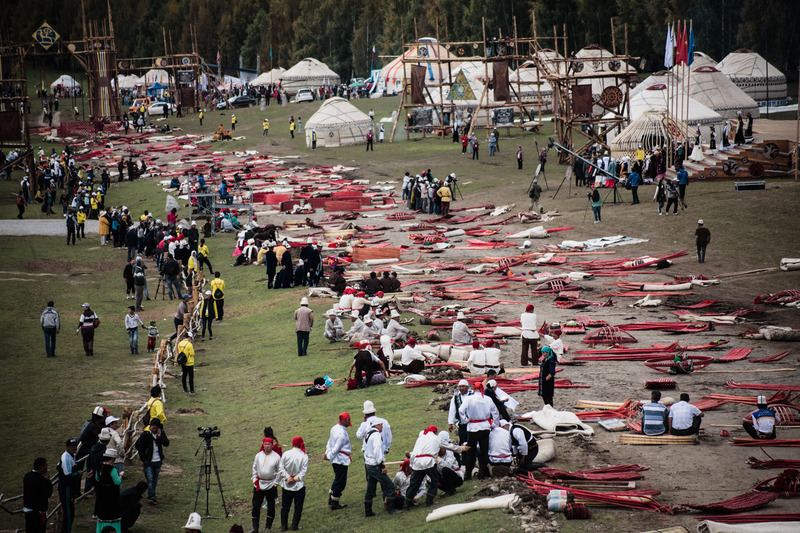 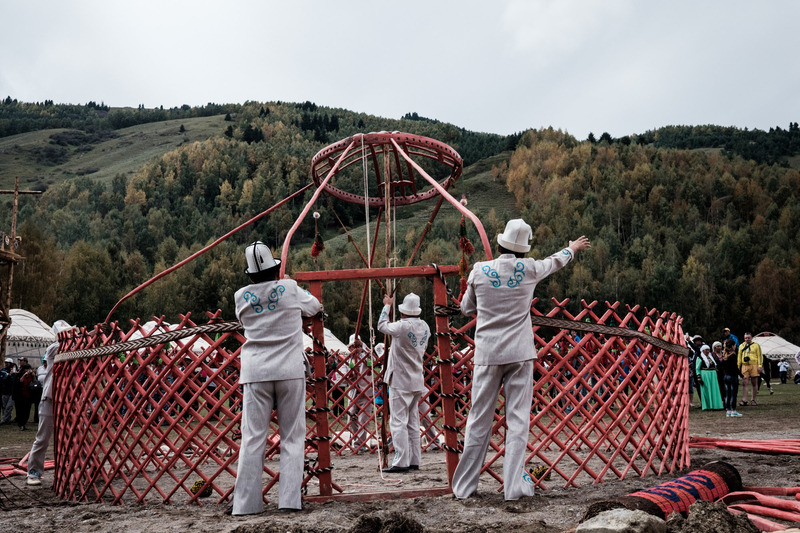 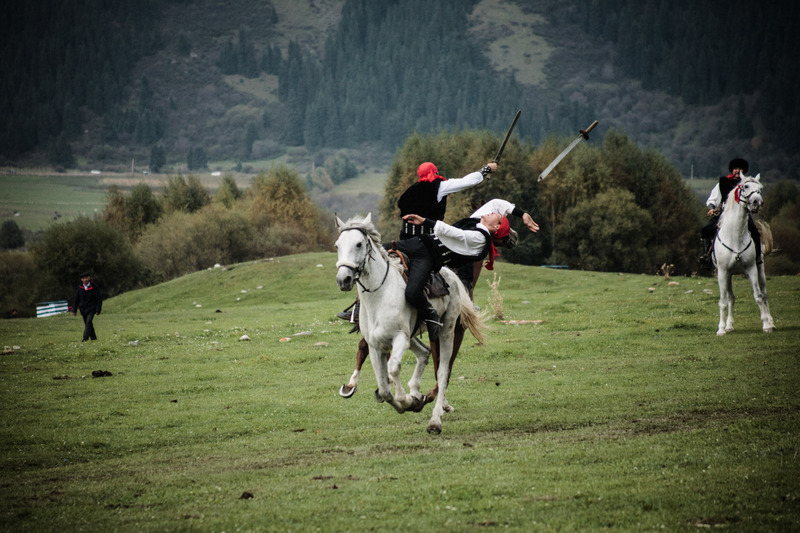 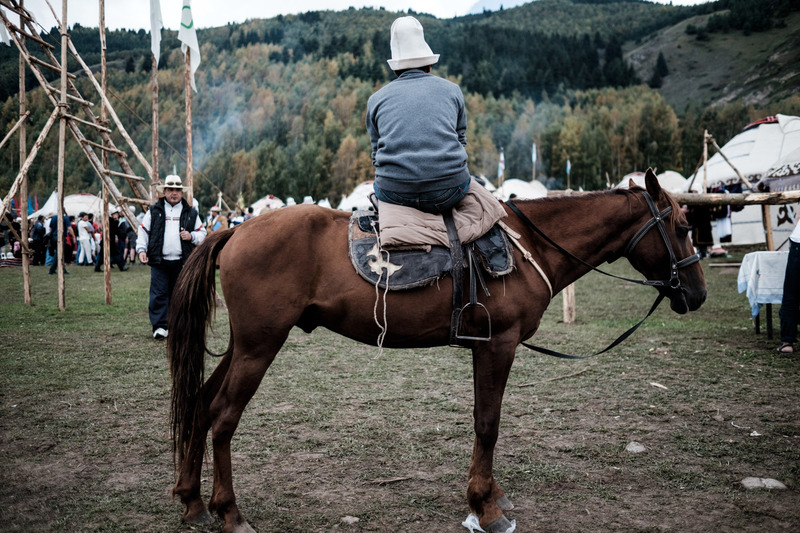 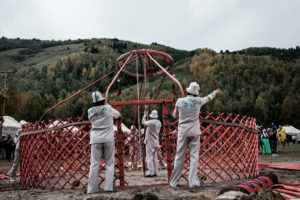 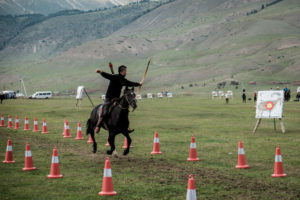 The second edition of the Games, which was held in september 2016, was therefore the occasion for numerous inhabitants of the cities to travel up to the mountains in Kyrchyn valley, above lake Issyk-Kul, to enjoy the cultural village, its yurt building competition and its traditional sports. 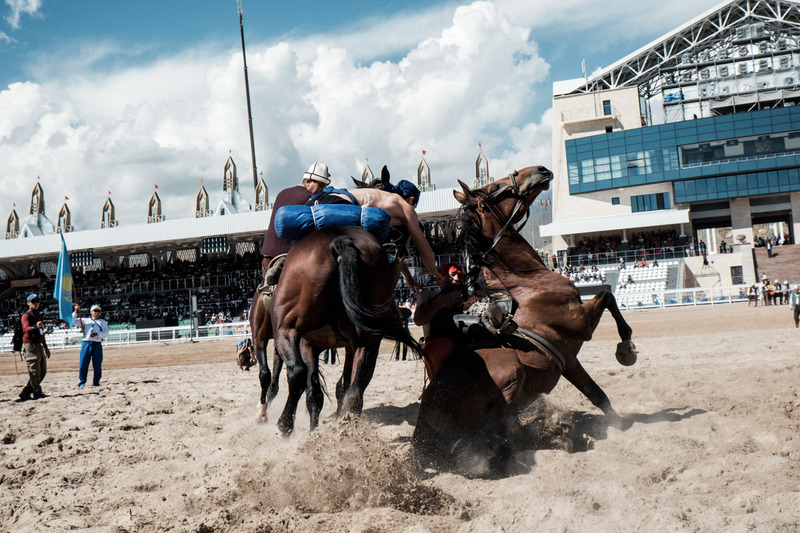 On the north side of the lake, in the summer resort of Cholpon-Ata, president Atambayev didn’t spare millions to finance the opening ceremony in the hippodrome, as tightly packed as to celebrate the national team, victorious of the Kok Boru finals. 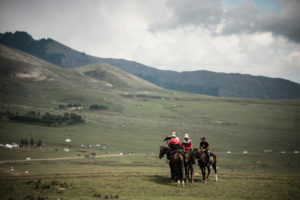 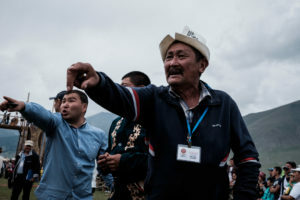 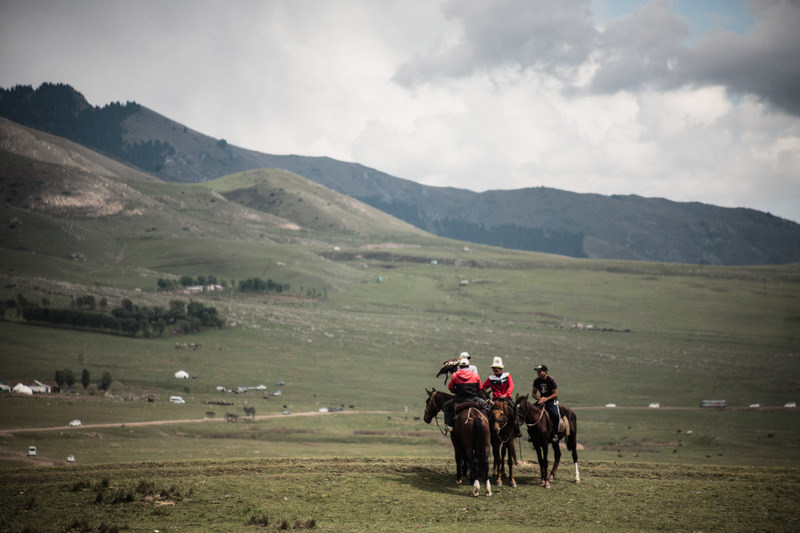 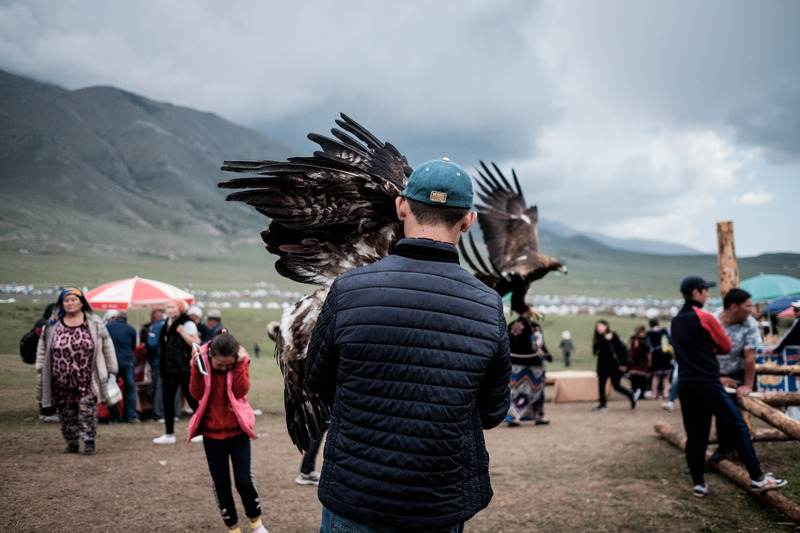 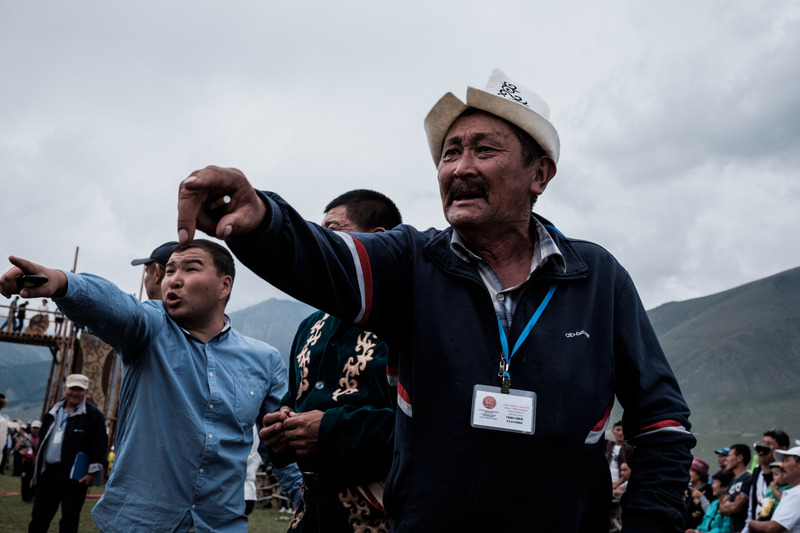 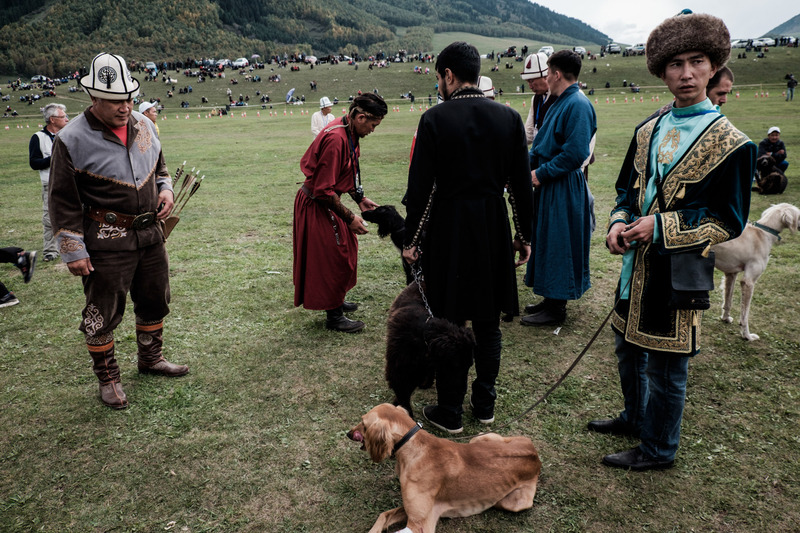 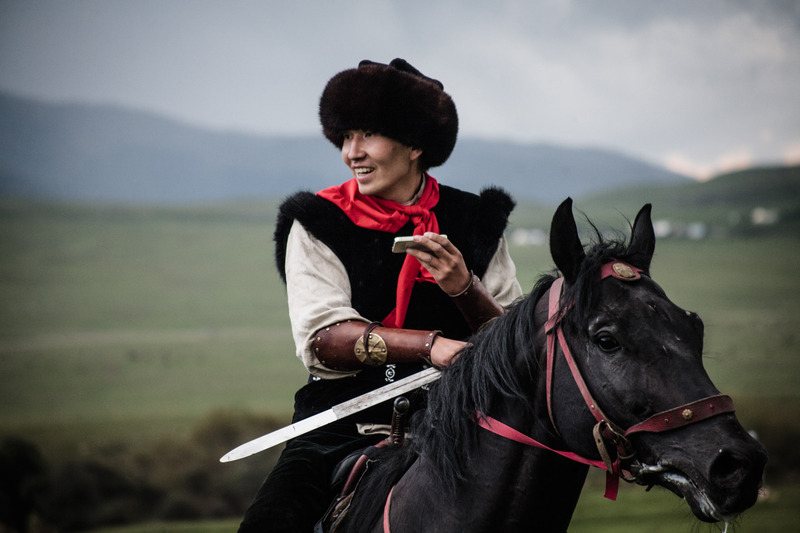 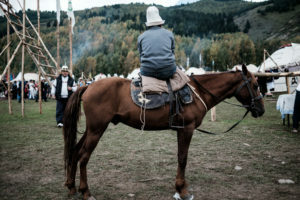 Stories | Tags: Central Asia, culture, Kyrgyzstan, Nomad Games, sport.